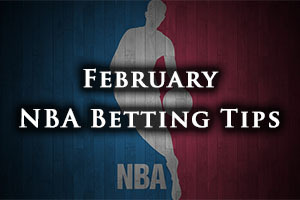 If you are looking to make the most of the weekend, it starts with a big card of NBA fixtures. There is a great deal to be said for the fun and excitement of a weekend, especially when there were just two NBA games on Thursday night. The Cavaliers were confident at home, dismantling the Warriors by a score of 110-99. There was also sad news on Thursday when it was announced that Earl Lloyd, the first African-American to play in the NBA, passed away at the age of 86. The Suns enjoyed a narrow home win against the Thunder, the Phoenix side winning by a score of 117-113. Even though it will still be classed as a difficult season for the Celtics, there is no getting away from the fact that the team is starting to take shape and pull together. They will be keen to extend the longest winning streak they have had at home this season and when you think that they have managed to win six of their last 9 games, things are not going too badly for the team from Boston. The Celtics will be heading into this with a bit of confidence after they disposed of the Knicks in such a convincing manner, winning 115-94 on Wednesday night. The Celtics have a 22-33 record going into this game, and this includes a 13-15 record at home. With two wins in a row, and a 6-4 record in their last 10 games, these are better times for the team from Boston. The Hornets head to Boston with a 23-32 record and this includes a 10-16 record on the road. The Hornets won their most recent game and they hold a 4-6 record in their last ten outings. The Hornets had an excellent win on Wednesday night, winning 86-96 in Chicago against the Bulls. Bismark Buyombo is a major doubt for the Hornets while Kelly Olynyk and Jared Sullinger are doubts for the Celtics. Taking the Celtics at -2, and at odds of 1.90, is likely to be a sound bet for this game on Friday. Bet Now! Norris Cole is clearly a familiar face to all at the Heat but this will be the second time this week that he has faced up against his former team-mates since his move to New Orleans. The Pelicans have won all three of their matches since they signed Cole up and even though Anthony Davis has been absent through injury, there is an element of confidence about the Pelicans at the moment. Miami head to New Orleans with a 25-31 record and this includes a 15-15 record on the road. The Heat have win two games in a row and they currently hold a 5-5 record in their last 10 games. The Pelicans also hold a 5-5 record in their last 10 games, and they have a winning streak of 3. The Pelicans have a record of 30-27 for this campaign, and this includes a 19-10 record at home. For average points scored, the Pelicans have an advantage with a 99.7 record compared to 93.5 and the Heat have the advantage with average points allowed, 96.7 to 99.4. The Heat won in Orlando on Monday, defeating the Magic by a score of 90-93 while the Pelicans defeated the Nets at home by a score of 102-96 on Wednesday. This could be a close game but taking the Pelicans with a +1.5 handicap, at odds of 1.90, is likely to be a sound bet. Bet Now! It says a lot about the season that the Lakers have endured that they are looking to equal their longest winning streak of the campaign in this game. The Los Angeles side head into this match having won their two most recent games and a win will take them on to that magic total of three wins in a row. This is the sort of run that some teams earn in their sleep but when you’ve had a torrid campaign like the Lakers have, this is definitely something you need to aim for. However, they face up to a Bucks side that have been invigorated by the appearance of Michael Carter-Williams who made the switch moments before the trade deadline of last week. Carter-Williams was in great form with 7 points and 8 assists in the 104-88 home win against the 76ers on Wednesday night. The Bucks have a 32-25 record heading into this game and this includes a 15-14 record on the road. The Lakers have a 15-41 record this season, and this includes an 8-19 record at home. Clearly the Lakers are in poor shape but with two wins out of two, they are hoping to keep this run going. The team has a 3-7 record in their last 10 games. The Bucks won their most recent game and they hold a 7-3 record in their last ten games. For average points scored, the Lakers have a slight advantage, 99.6 to 98.4. Meanwhile, the Bucks OJ Mayo is being monitored closely by the Bucks while Ronnie Price is a major doubt for the Lakers and Robert Sacre and Nick Young are being closely monitored. Taking the Heat at odds of 1.90, with a -5.5 handicap is likely to be a decent bet for Friday with the NBA. Bet Now!